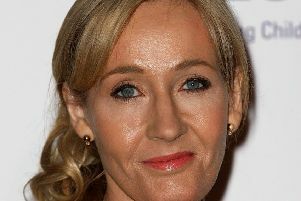 A former personal assistant to JK Rowling has been accused of “ridiculous” spending on the author’s credit card. 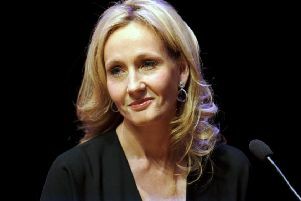 JK Rowling has said she “does not accept” the claims made in court by her former personal assistant who is accused of fraudulently using the author’s credit card for spending sprees. 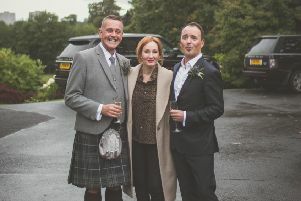 A Scottish couple were left stunned when Harry Potter author JK Rowling gatecrashed their wedding. 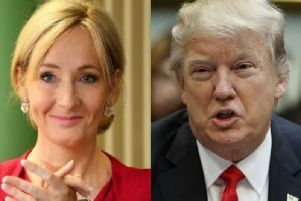 Harry Potter author JK Rowling has mocked US President Donald Trump on Twitter, pointing out a typo in a tweet he posted boasting about his writing ability. 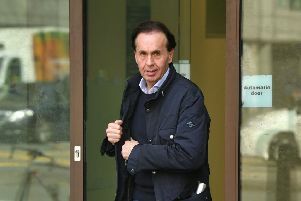 An Italian bookseller who stole a signed Harry Potter edition worth £1,675 in a “professional, targeted operation” has avoided jail. 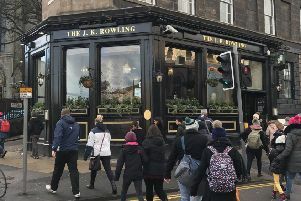 JK Rowling has insisted she has never been in a pub which has sold for millions of pounds amid claims that it inspired the Harry Potter books. 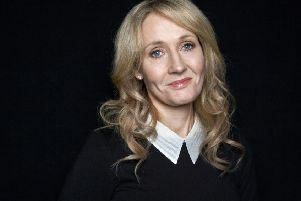 A rare first edition of Harry Potter and the Philosopher’s Stone by J K Rowling has sold at auction for a world record £106,250. 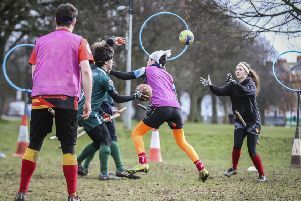 Scotland’s first national quidditch team is set to compete in the Quidditch Premier League - and one potential player says it’s not all about Harry Potter. 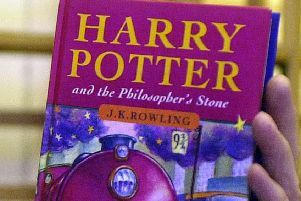 A rare first-edition Harry Potter book sold at auction for a record-breaking £60,000 - more than 5,000 times its original £10.99 price tag. 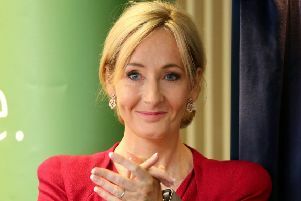 JK Rowling has taken to Twitter to blast a prominent Leave politician who complained of biased Brexit coverage, comparing them to Yes campaigners. 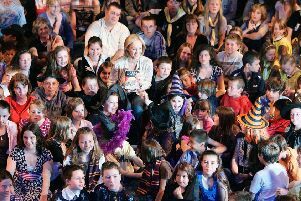 JK Rowling has apologised for wrongly accusing President Donald Trump of ignoring a disabled child. 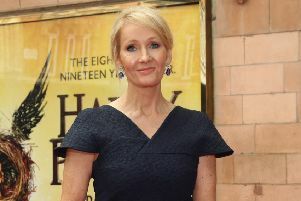 Piers Morgan has called JK Rowling “a shameless, lying hypocrite” on Twitter following the author’s tweets about US President Donald Trump’s alleged refusal to shake a disabled child’s hand. 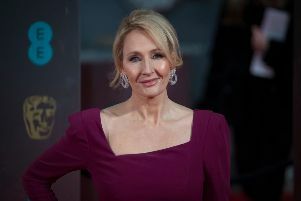 Harry Potter author JK Rowling says she has written a secret manuscript on a party dress - and it’s hanging in her closet. 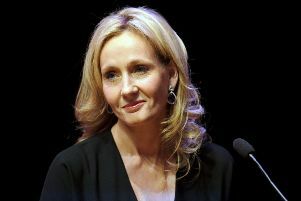 Forbes has named Harry Potter author JK Rowling as the world’s wealthiest author this year. 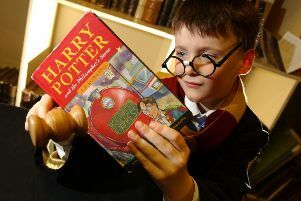 AS the literary world celebrates the 20th anniversay of Harry Potter first hitting the bookstands, a new version of the first book is to be published in Scots language. 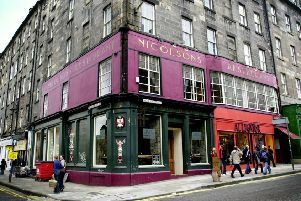 Ask most Harry Potter fans where JK Rowling first conjured up the boy wizard and they will point to the Elephant House cafe on Edinburgh’s George IV Bridge. 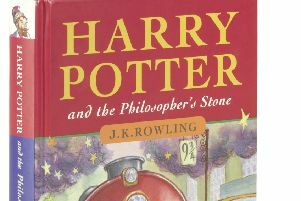 Harry Potter fans around the world will today celebrate the 20th anniversary of the first book about The Boy Who Lived.